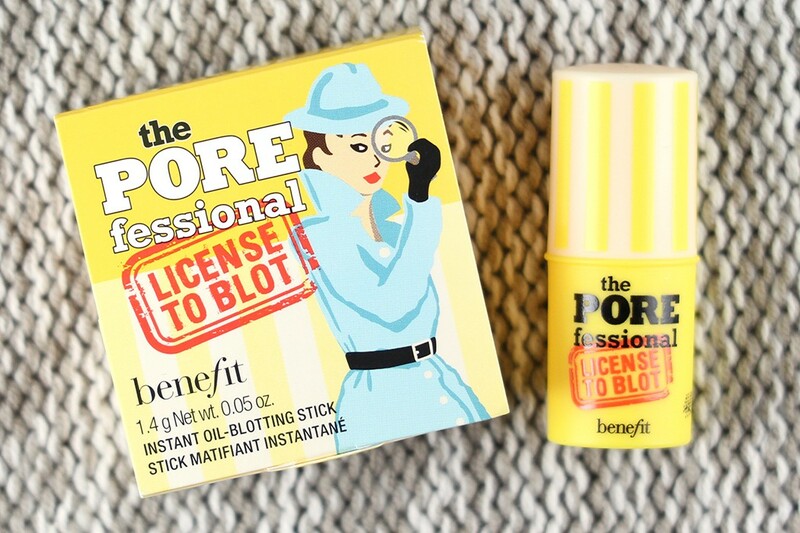 Benefit The POREfessional: License To Blot is a product with a great concept. 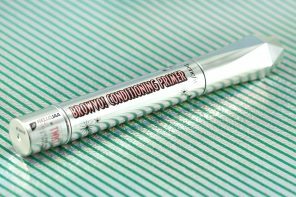 It is a convenient, instant mattifying stick that can be applied under or over makeup to keep your face matte for up to 6 hours. Well, being a girl who has oily T-zone, this just sounds like it was made for me! I have a mini version to share with you today. 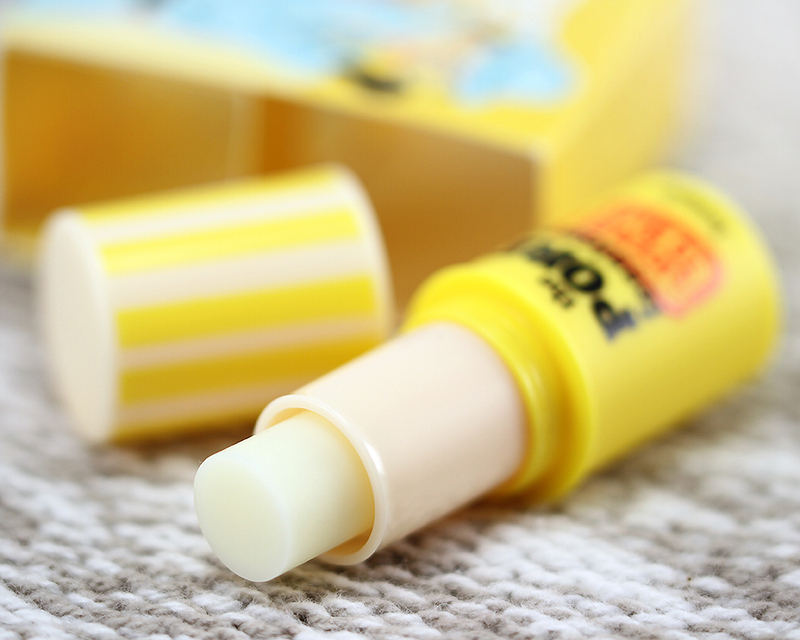 It is a simple, yellow-themed, retractable twist-up stick with a super adorable packaging design Benefit is known for. The product itself is scent-free and has a typical mattifying balm-like texture. It goes on translucent on the skin and leaves no residue behind. To use, simply twist up the product and apply directly on bare skin or over makeup particularly on the areas where you want to get rid of shine using short, swift strokes. 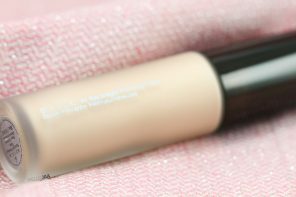 When applied on bare skin, it offers a slightly smooth, satin-matte finish though it doesn't seem to help my foundation application blend easier/smoother in any way. 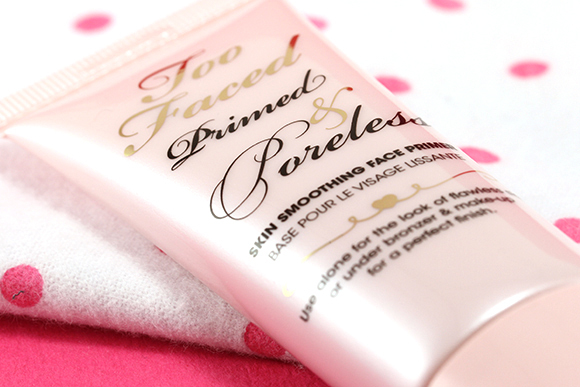 The added benefit is that it seems to blur the appearance of pores just slightly. It does not cover redness or skin imperfections, nor does it claim to do so. When I applied it in the morning, my skin didn't get shiny until 1-2 P.M., so the 6-hour shine-free claim is true for me. One thing to note if you intend to apply it on bare skin is to make sure your skin is properly moisturized prior to application or it will accentuate dryness. 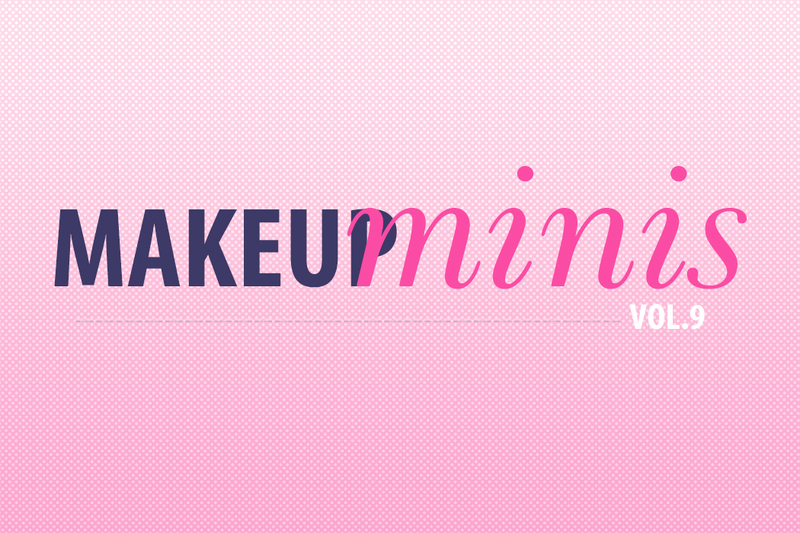 When applied over makeup or when used to touch up during the day, that's when everything goes all wrong. Firstly, the balm texture is not “slick” enough to glide on the skin; you'll have to press it down a little to blot the oil off and there's no way you can avoid ruining your makeup. Every time I try this, I always end up smudging my foundation coverage. Secondly, it seems to “ball up” my makeup, too, and leaves me with splotchy finish in the process. The final straw is probably when the pristine tip gets all kind of dirty from the makeup that you just wipe it off with. I recommend swiping the tip gently on a piece of tissue after every use to get rid of the transferred makeup and to keep the product sanitary for next use. Another thing I think worth mentioning is that you will need to use quite a bit of product per application to achieve a matte appearance. And I can't imagine how quickly you'll go through it if you have super oily skin! 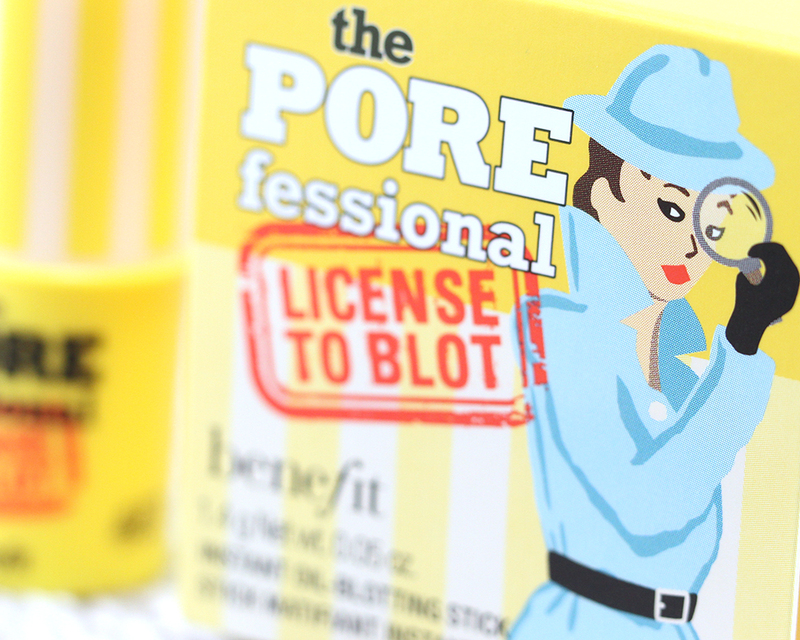 Below is a Before and After shot where I applied The POREfessional: License To Blot on bare skin. 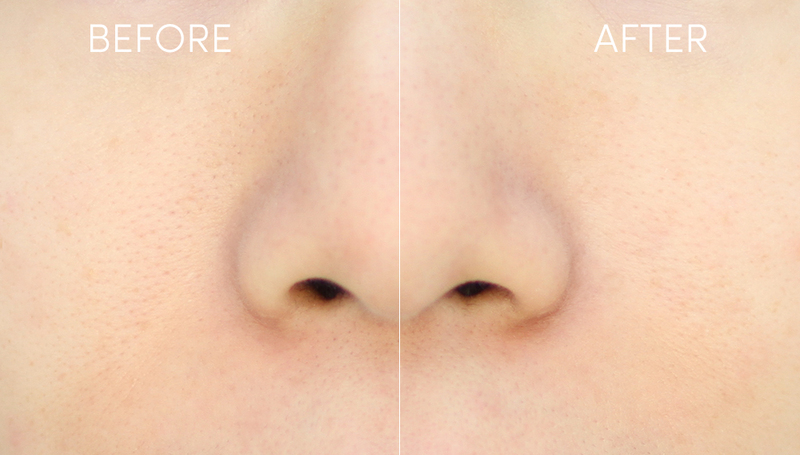 The difference is barely noticeable but if you look closely, the skin on the right is slightly more matte and pores are less noticeable. In the end, I think this product performs better on bare skin. It keeps my face matte as promised but it doesn't perform any better (or even as good as) than my other mattifying primers. It doesn't prolong the wear of my makeup in any way and I would not recommend using it over makeup at all for the reasons stated above. I think you're better off using blotting sheets which are much cheaper, more discreet, and most importantly, more sanitary. The concept around the product is neat, and while it does what it claims to do (except the over-makeup application part), I just don't see it as a necessity. 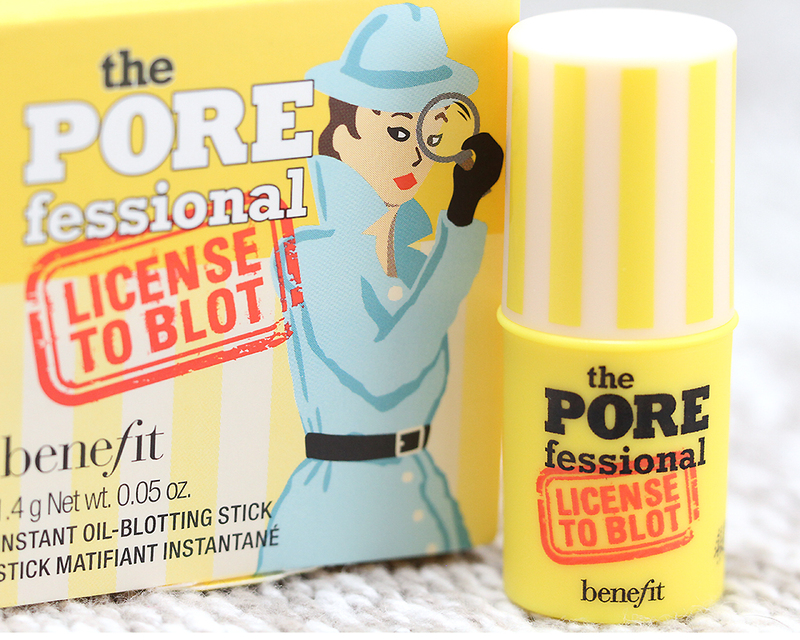 I prefer my primer in liquid form and I prefer blotting sheets to touch up during the day. In short, I just can't see this product fitting anywhere in my routine, even if I try! Have you tried it? If so, what has your experience been like? Do you have any extra tips on using this product? I really don’t see much of any difference in your before/after LOL Your skin is perfect as it is! I like the concept, but I can see why it’d ball up and so on over makeup. 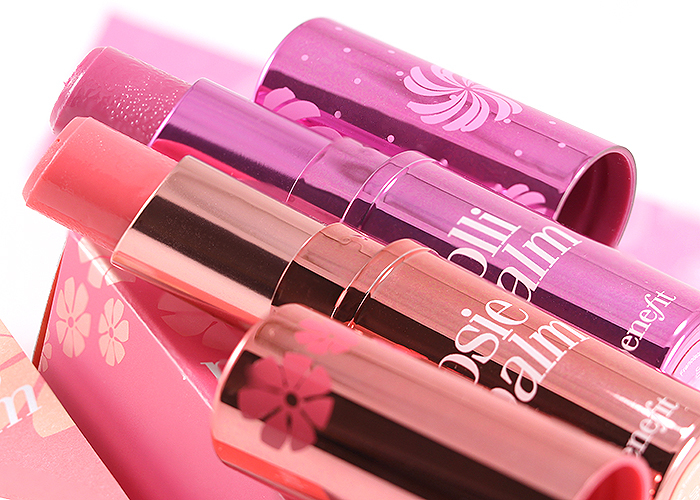 Would be great if it actually worked, since the stick packaging makes it easy to reapply! The full-sized one has a triangle shape that fits the contour of the face nicely, too! But yeah, it’s best to use under makeup only. I agree with Sunny, your skin looks awesome in the before picture! Primer isn’t my thing anyway, so I don’t think I´d use this regularly. And the packaging reminds me of Uhu Sticks, the glue sticks I use back in school. Thanks for an honest review, Jaa. I saw it at Ulta and it looked interesting. But I agree, I prefer my foundation to come in a tube, not in a stick and I can’t imagine applying it over makeup without ruining it. I am glad it’s only a sample and you didn’t spend your money on a full size product. Hm was eyeing this but will not get it afterall, thanks for the review! Blotting papers are awesome, probably even plain old tissue will be better than this for oilies that come through the makeup. I’ll stick to my new Smashbox primer for now. This just doesn’t seem worth all the hassle. The Smashbox primer definitely works way better on me. So glad you’re loving it, too! I think there is a decent amount of difference but I’d have to see what it looks like under makeup to see if it was noticable after. It seems like this product wants to be the Nars instant line and pore perfector. The Nars one performs better though…but if used regularly you’ll go through it super quick. Does the NARS one work over makeup? And does it actually “perfect” lines and pores? I’ve never tried it but am interested! *notice – sorry for the typo! Doesn’t seem entirely hygienic either, if it’s designed to be swiped right on the face. Pretty noticeable results, though! 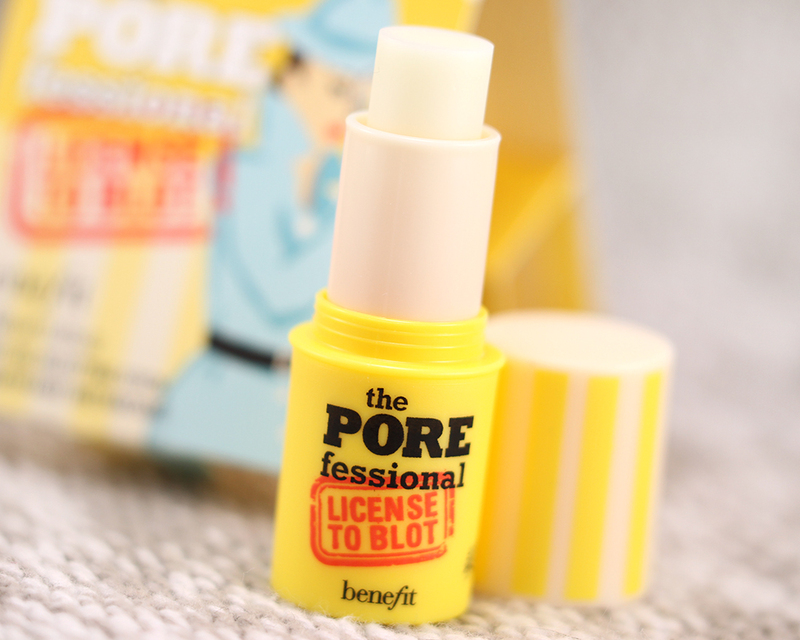 I wonder how different this is from the Benefit Stay Flawless Primer. They seem to be marketed similarly, though I wasn’t a fan of Stay Flawless. I haven’t tried this, and after reading your review, I probably won’t since we have similar skin concerns! I really love the original Clean & Clear blotting papers and Palladio Rice Powder blotting papers when I’m extra oily during the warmer months. I blot and then follow it up with a bit of powder and voila – done. This method keeps my makeup in tact and gets rid of the oil. Yeah, I still think oil-blotting sheets (and sometimes a bit of powder) is a better way to touch up makeup! Is the weather getting warmer now in GA? Oh the packaging is slightly different to ours in Australia. I agree, it’s suppose to not smudge makeup but I find that it does. I don’t use mine very often, it feels like it adds an extra layer of grease on my face – if that makes sense. You have pore less skin Jaa! I would stick to my porefessional or may be give smashbox a go!